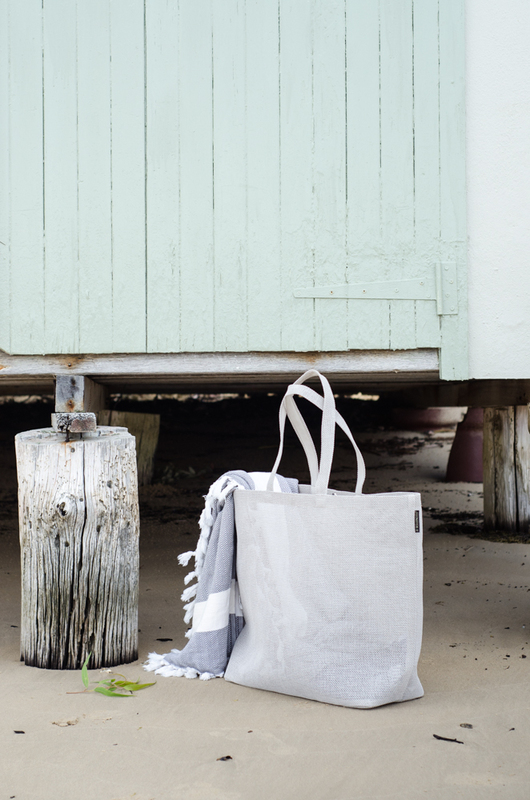 It's been a busy week, so this morning we packed up our bag and headed to the beach. It was so lovely just to relax a bit! My new go-to bag, weather for the beach or a weekend away is this one from Woodnotes. 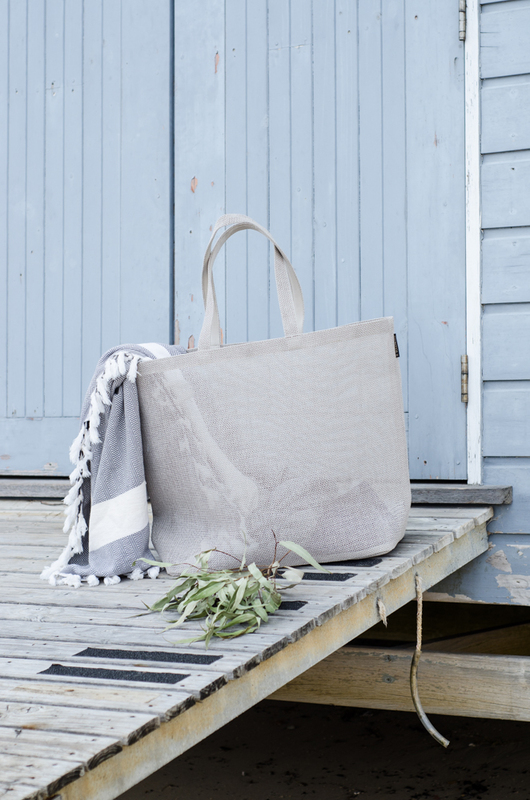 The bag is made in Finland, from 100% paper yarn. Woodnotes were the first to use paper yarn in a contemporary way like this, and in functional textiles (like bags and baskets). 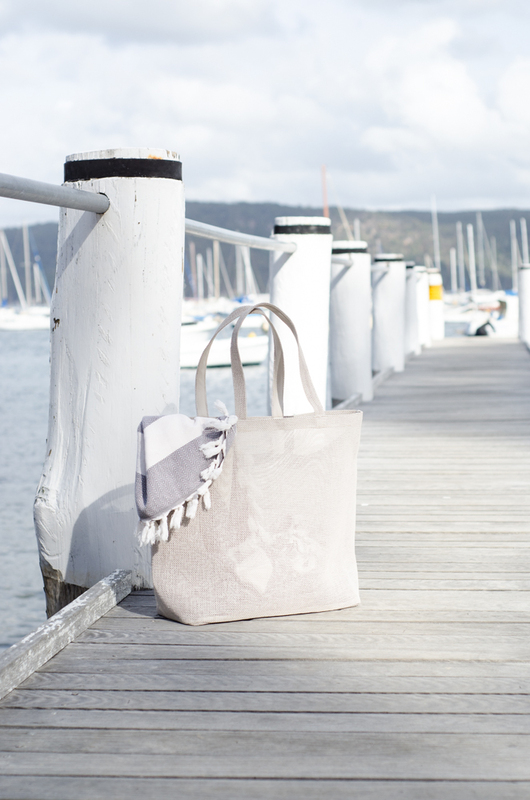 I absolutely love this bag; it is super generous in size, which is exactly the way I like it. 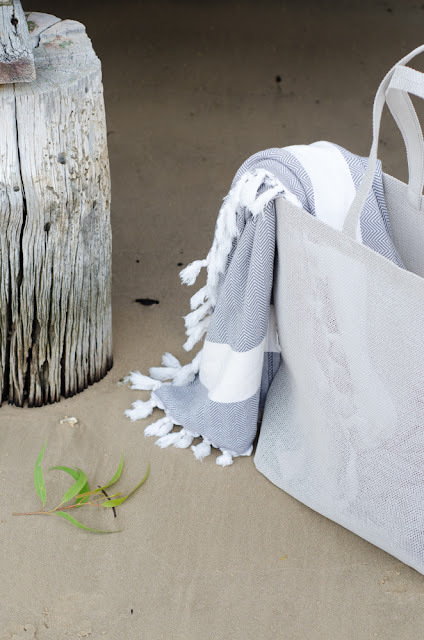 It is ideal for the beach, the sand doesn't get stuck on the bag and is easy to clean up. Hope you have a lovely weekend ahead! This bag was sent to me as a gift from Woodnotes. All opinions are my own.